In the center of Napa Valley, the Oakville and Rutherford appellations are moderately warm areas that are still partially influenced by morning fog. 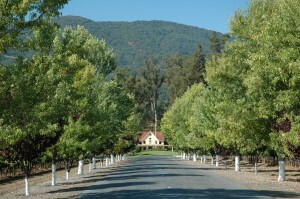 Oakville is just south of Rutherford, but both areas are well known for the Merlot and Cabernet Sauvignon varietals. Oakville also has Sauvignon Blanc as a primary varietal, while Rutherford is also known for its Cabernet Franc and Zinfandel grapes. Oakville Winegrowers – A nonprofit trade association of over 70 growers and vintners dedicated to promoting and preserving the Oakville AVA in Napa Valley. 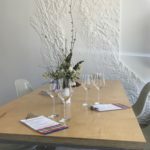 Rutherford Dust Society – A nonprofit organization of growers and vintners whose mission is to encourage and promote the highest quality standards in grape growing and winemaking in the Rutherford AVA, and to help wine lovers and the wine trade discover Rutherford’s expression of its unique terroir.